Sold out in most places, we are now offering The Canadian 1oz Timber Wolf coin for our members only! 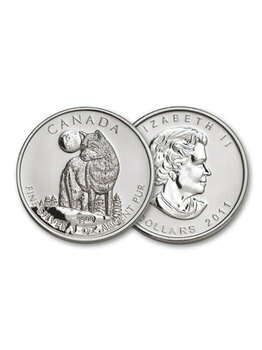 The Canadian Timber Wolf coin is the first coin released in the Royal Canadian Mint's three-year "Canadian Wildlife Coin Series" program. It is also the most prized one among the rest of the series. The obverse of the coin bears the likeness of Queen Elizabeth II with a $5 CAN face value. 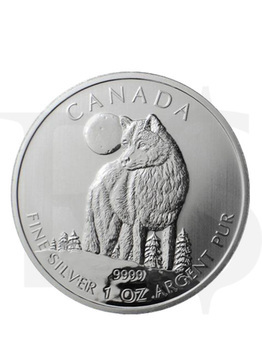 The reverse has a beautifully designed Canadian timber wolf, with the moon and nighttime mountainside landscape behind this majestic Canadian predator.